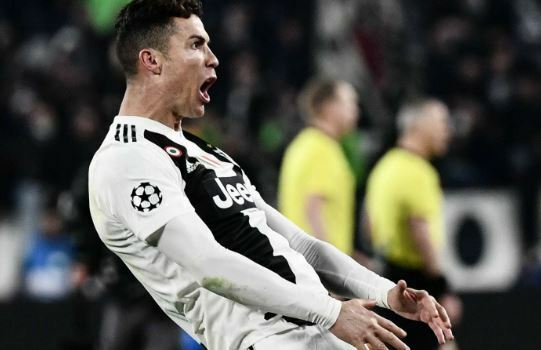 Cristiano Ronaldo has avoided a Champions League suspension after UEFA announced his punishment for his celebration in the aftermath of Juventus’ win over Atletico Madrid. Ronaldo scored a hat-trick in the second leg of Juve’s last-16 clash with the Rojiblancos, and celebrated by mocking Diego Simeone’s own celebration from the first leg when the Atleti boss intended to illustrate the ‘cojones’ his team had shown in their own 2-0 victory. That is in line with Simeone’s own punishment, with the Argentine fined the same amount by the European governing body ahead of the clash in Turin. But in netting a treble to knock out Simeone’s side, he looks to be finding form at the ideal time ahead of the latter stages of the competition. Since arriving in Italy the 34-year-old has scored 24 goals in 36 appearances across all competitions, with Massimiliano Allegri’s side 15 points clear at the top of the Serie A table and set to win an eighth straight Scudetto. Erik ten Hag’s side pulled off the surprise result of the round as they won 4-1 at Santiago Bernabeu to win 5-3 on aggregate over the 13-time winners.